PARK CITY, Utah (March 3, 2014) – Learning to ride a bike is a moment that is firmly engrained in the memory of every child and parent. From that moment, the door is opened to a lifetime of experiences and fun times in the saddle. Backcountry.com knows the feeling and to support the growth of the sport of cycling and the development of young riders, the online retailer of premium outdoor and cycling gear has partnered with the National Interscholastic Cycling Association’s (NICA) Utah Chapter as a platinum sponsor. Backcountry’s partnership with the Utah High School Cycling League will help encourage young cyclists to reach their goals while having fun and building lasting relationships on-and-off the bike. “There’s no better way to invest in the next generation of the sport than to support youth development and the love for cycling through organizations like NICA’s Utah league,” said Jill Layfield, CEO at Backcountry.com. “To be able to bring our knowledge and expertise of the industry and bike gear to young athletes in our own backyard is an exciting opportunity." Backcountry will kickoff its sponsorship in proper fashion by hosting (with the League) the CycleFest fundraiser event on March 14 in Salt Lake City. At the Fest, Backcountry will present its first annual Goatworthy Award, which will be awarded to the most well-rounded student-athlete who exemplifies the pursuit to better themselves, their teammates, and their competitors while showing an unwavering commitment to teamwork, a selfless nature, and courage in overcoming obstacles. Backcountry will also be screening their brand video – “This is Backcountry” – at the fundraiser, and will have riders and gear experts on hand. All proceeds from the event will help fund the League. 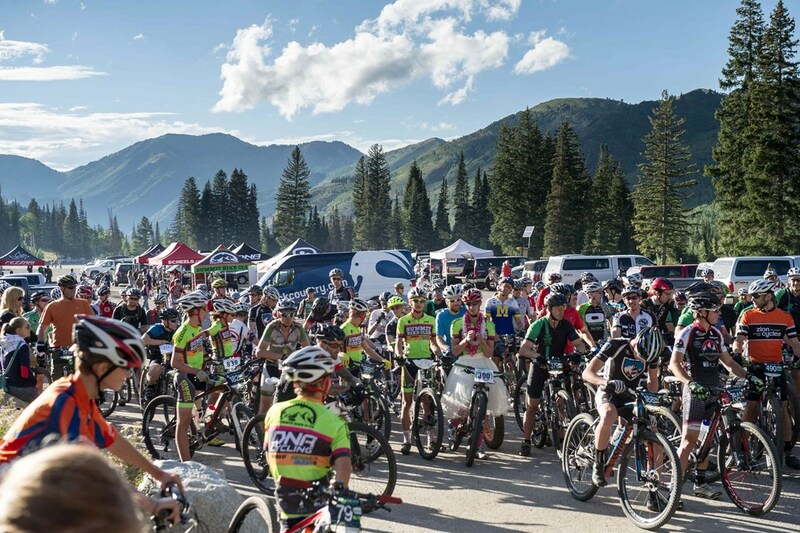 In addition to hosting CycleFest, Backcountry’s sponsorship will include participation at local riding clinics, organizing demo days, race attendance, and hosting the National NICA Conference at their headquarters in Park City. "We are proud to have Backcountry.com's support for our league and for their help in assisting our coaches and student-athletes make the most of their hard work. Backcountry embodies many of the same characteristics that we try to instill in our kids – and that makes them a great partner for our league," said Spencer Shaffer, Founding Utah League Board President. "With the support of Backcountry, the Utah league will continue to be the fastest growing league in the nation, providing opportunities to nearly 700 registered student-athletes from across the state of Utah." Founded in 2012 to develop high school mountain biking programs for student-athletes in Utah, the Utah High School Cycling League is the fastest growing chapter of NICA, having more than doubled in size since its inaugural season, and now serves close to 700 students on 43 teams throughout the state. This year, it has expanded its outreach to seventh and eighth graders through a new Junior Development program. For more about CycleFest, check: http://www.utahmtb.org/events/cyclefest/. For more about Backcountry, check: www.backcountry.com. Backcountry.com is the largest online specialty retailer of premium outdoor gear for one simple reason – we get it. Through the quality and breadth of our products, the ease of use of our site, the knowledge and empowered service of our Gearheads, the lightning speed of our fulfillment and the shared gear knowledge of our community, we enable our customer’s passions because we share them. With seven specialty stores: backcountry.com, dogfunk.com, Competitive Cyclist, SteepandCheap.com, WhiskeyMilitia.com, chainlove.com and MotoSport.com, we ensure we always have the gear to fuel your next adventure. Get stoked at http://www.backcountry.com.